With over 100 million daily active users, Snapchat is one of the most popular social networks around. Sharing 8,796 photos every second, users are super active (in fact, 65% of users contribute to content daily). There’s no question that Snapchat is a place many people visit frequently throughout the day. One of the newer additions to Snapchat is the addition of geofilters. These photo filters add fun text and graphics to your snap. The options available to you are based on your current location, so they’re relevant to the Snapchatter and context of the picture. Geofilters aren’t just something Snapchat themselves makes either. Users can submit their own! 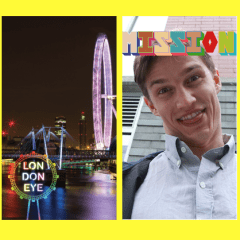 Here’s how you can submit geofilters for Snapchat users. © 2000-2019 Ben Brausen. All Rights Reserved.